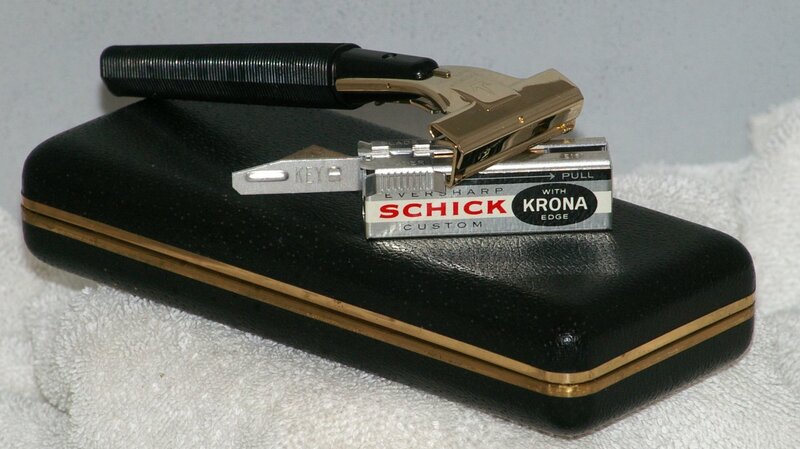 This is an interesting vintage Schick Injector Razor. 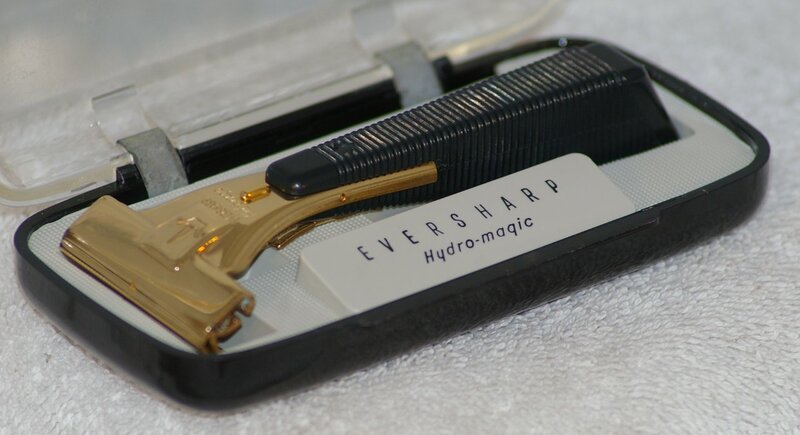 It is an Eversharp Schick type H1 Fashion razor. 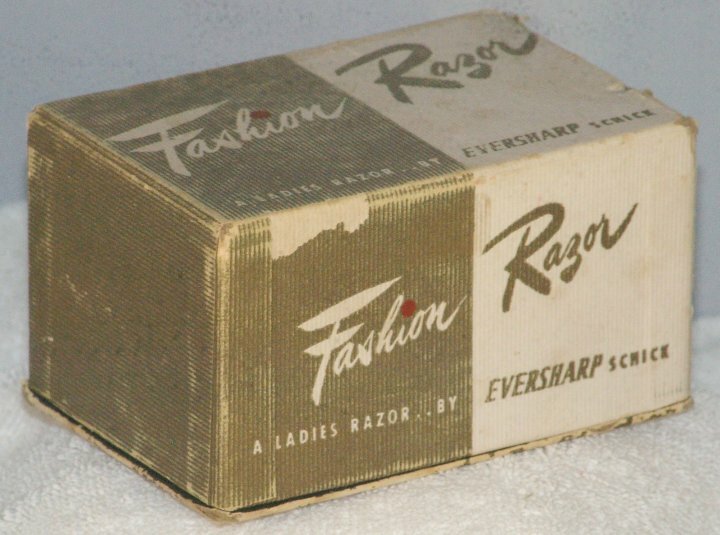 It was manufactured from 1947 to 1953. 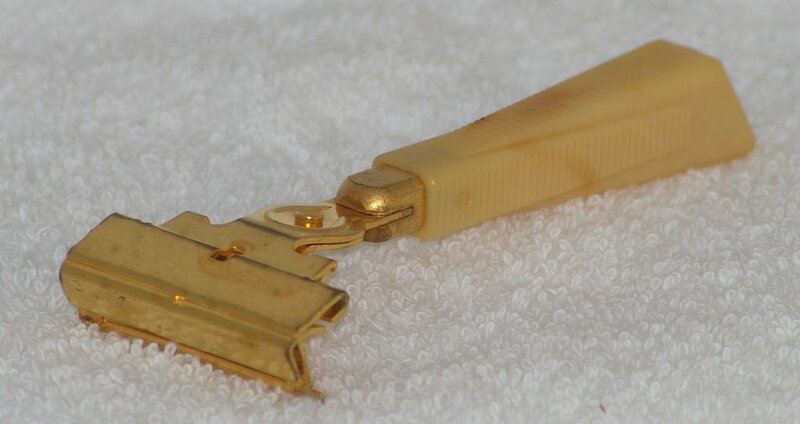 While originally produced for women, it would make a useful travel razor for anyone. 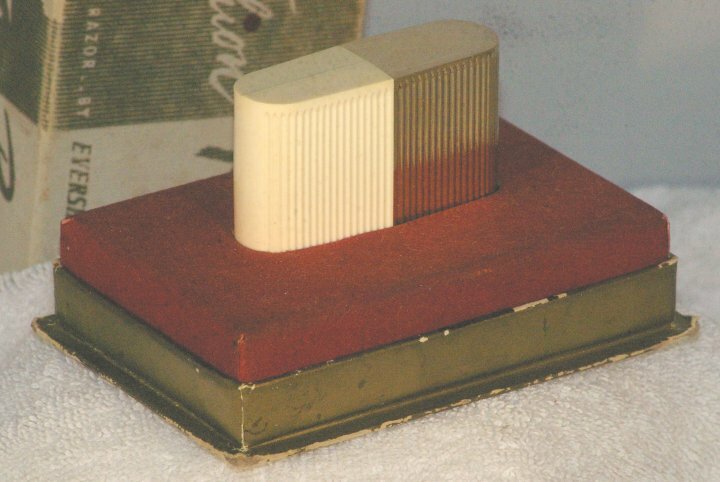 When closed it is only 2 1/2" by 1 7/8" (6 x 4cm). 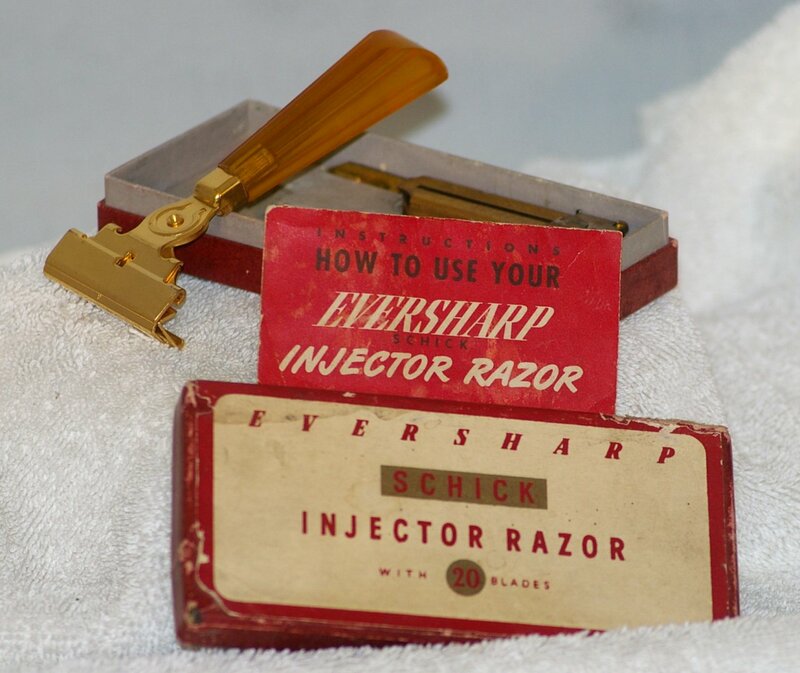 In spite of the very different look, it still uses the same standard Schick style injector blades you can purchase today. 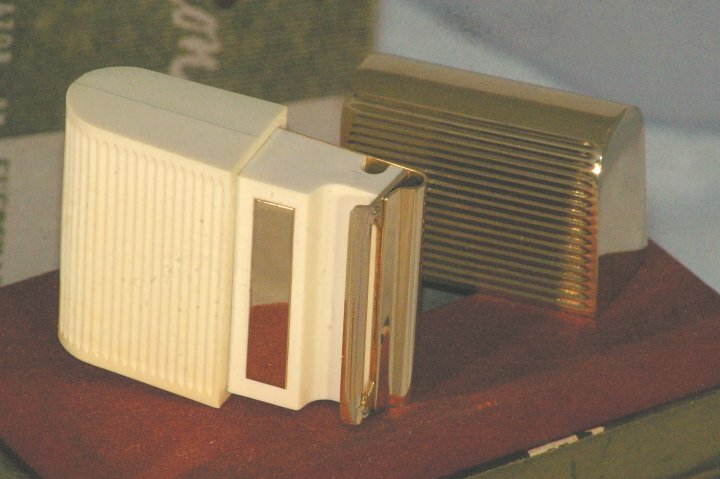 As you can see in the photos, the box has taken a beating. 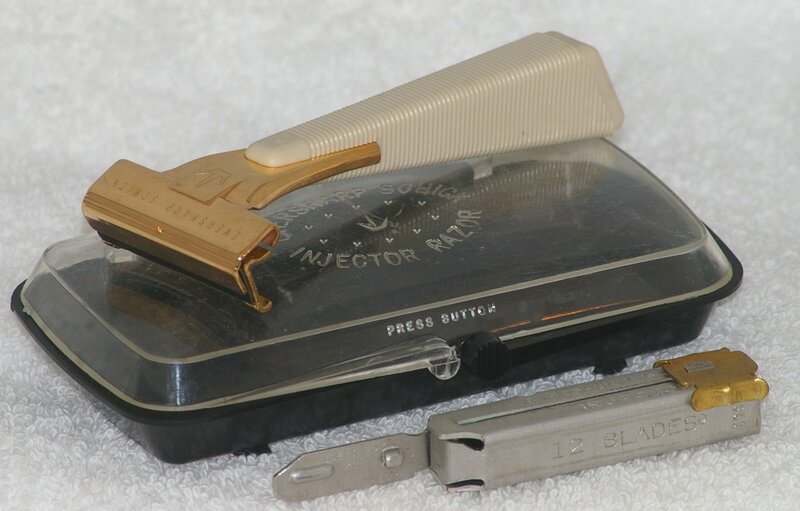 However, it's done the job of protecting the razor. I think it's possible it's never been used. The plating and handle are perfect. 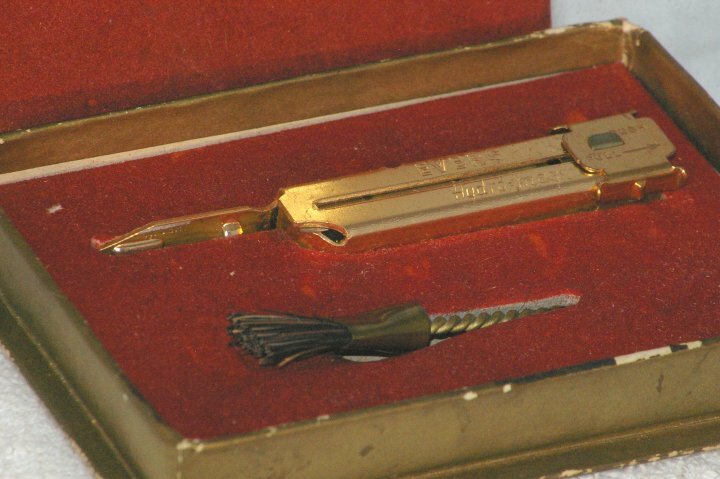 The blades and cleaning brush in the box bottom "secret compartment" look like they've never been touched. 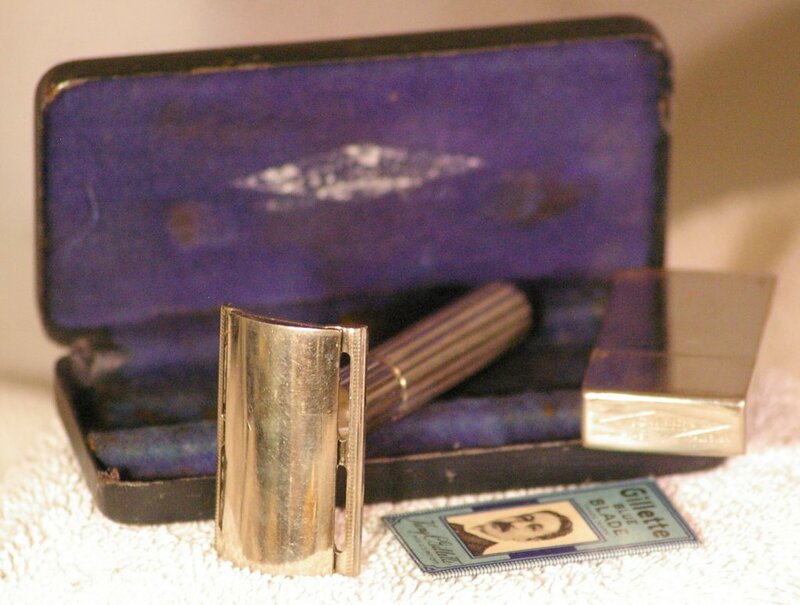 A super piece of shaving history with a unique look. 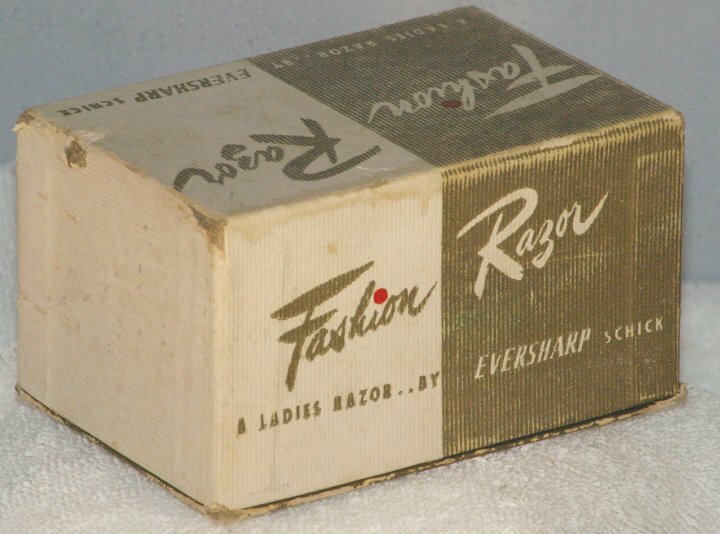 We hear they shave well too.